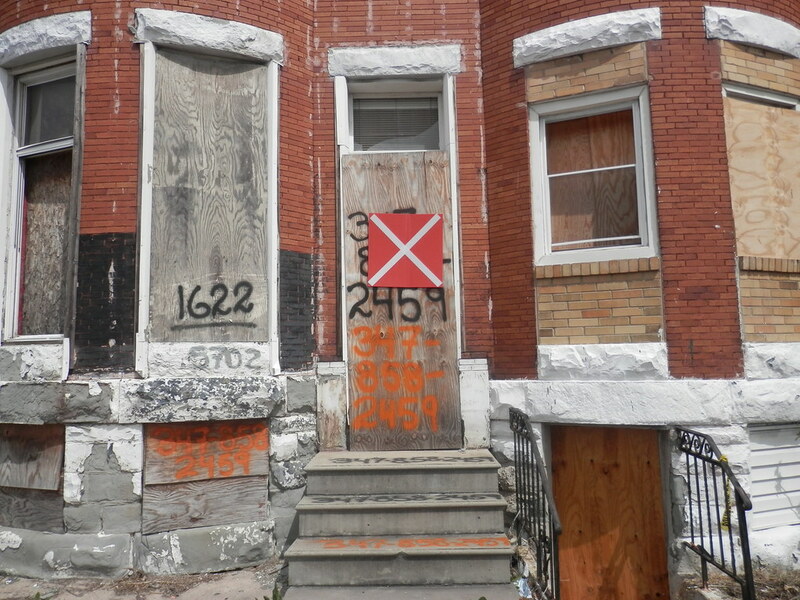 Baltimore City is plagued by vacant housing, evictions, foreclosures, unemployment, poorly performing schools, fire house closings and diminishing city services. During the last 40 years, city and state leaders have looked to economic development as the solution. Significant public resources have been used to transform old industrial areas into tourist sites, featuring restaurants, retail stores, and other forms of hospitality and entertainment. While this development produced some jobs, work in these sectors is low paying, without health insurance and opportunity for upward mobility, and hostile to worker organizing. Because the new housing has been targeted to the well heeled, real estate values eventually will be pushed beyond the reach of city residents. Environmental burdens (toxins, waste, etc.) of development have fallen disproportionately on communities of color and poverty. This development path has been paved with city subsidies. Municipal grants, bonds, low- or no-interest loans, tax increment financing, payments in lieu of taxes, tax breaks, low or no-cost leases, discounted land conveyances and other public aid has been advanced to developers. All of this has been done with little public information, public oversight, or public participation. To date, this development has aided primarily private developers and real estate speculators, while most city residents and communities still struggle to meet their needs. As one of the fathers of Baltimore’s “Inner Harbor” tourist zone development warned, public policies and private activities have conspired to produce gold fillings in a mouth full of decay. Community development is an after-thought, left to non-profit organizations or corporations which have little or no access to the city subsidies currently available for economic development, and which must rely on federal programs such as Community Development Block Grants (CDBG), the Low Income Housing Tax Credit, to create a small oasis of affordable housing and community service in a vast desert of need. Sadly, these programs, targeted for needy communities, were manipulated in the 1970s to fund the very Inner Harbor development that the city now uses economic development subsidies to build upon. UNIVERSALITY -- is the principle that human rights be afforded to everyone without exception. Development shall increase all City residents’ ability to access the resources required to meet their fundamental needs of good jobs, education, health care, food, housing, and social security, and shall address these needs in a coordinated way. No single development goal shall be pursued to the detriment of other community goals. Development must not result in the displacement of persons or communities. EQUITY--is the principle that public policies must enable equality of opportunity and outcome with regard to meeting human needs. Development policies must enable equality of opportunity and outcome, prioritizing populations and communities with the greatest need. City residents shall get priority to jobs that pay living wages, protect the right to organize, guarantee workplace protections and benefits, and city communities most in need shall get priority to resources for transportation, fire services, recreation, information technology, housing, health, social services, workforce development, and education. PARTICIPATION--is the principle that government must engage people and support their participation in decisions about how their human rights are ensured. Development decisions on the provision of public contracts, subsidies, tax expenditures, tax increment financing, et al, shall be done using processes whereby meaningful input into all phases of development--including formation, implementation, and monitoring—is facilitated for all city residents and relevant stakeholders. Any community services created or affected by development shall enable their users’ participation in decision-making, and any jobs created or affected by development shall enable workers’ participation in decisions relevant to those jobs. TRANSPARENCY—is the principle that government must be open with regard to information and decision-making. Public subsidies for development must be discussed, decided, implemented, and monitored in an open, easily accessible manner that maximizes examination and review by city residents. ACCOUNTABILITY—is the principle that mechanisms must exist to enable enforcement of human rights. It is not enough to merely recognize rights; there must be a means for holding government and private actors accountable for failing to meet human rights standards. Public representatives and publicly subsidized developers are under a duty to engage in development that is universal, equitable, indivisible, participatory, and transparent, and shall be held responsible for breach of that duty by an effective means of redress and remedy. City residents, particularly those most affected by development projects and the allocation of public subsidies, shall exercise direct oversight over development decisions involving any type of public subsidies. Since 2013, we have organized, mobilized, and catalyzed neighborhoods and partners around these principles in three particular areas of focus: 1) Public Subsidies to Developers; 2) Environmental Justice; and 3) Housing. I grew up in the great city of Baltimore so you will always have our support from down here in North Carolina. If there’s anything myself or my employees can do please let us know. From Arecibo,Puerto Rico,We Send You are Best Wishes and Hope,To Stop This Bad Development. We have the same problem and are aganist Energy Ansewrs. Ni Aquí en Arecibo ,Ni en Ningún Lugar Mas del Planeta !!! !